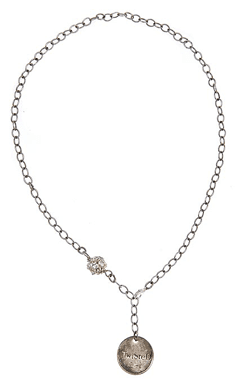 One winner will receive the Ice Ice Necklace (a $45 value) from Nicole Vazquez Jewelry. Question: Which other jewelry piece do you like from Nicole Vazquez Jewelry? Post about which one you would like to win on the comment widget along with name and email address on the comment widget above instead of replying to the post (less hassle that way). All of your information will be hidden. You can enter this contest once. The Ice Ice Necklace is made with clear quartz beads in various shapes and sizes, which look like chunks of ice. This fun necklace catches the light just right and is the perfect addition to any outfit. 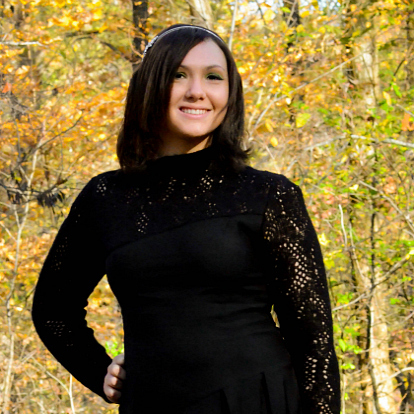 It’s prom season and I’m sure some of you might be looking for ways to cut down on the costs, without sacrificing style! So, I wanted to give you a heads up about some greats deals on tuxes at Men’s Wearhouse -- cause of course all girls want their arm candy to look just as good as they do. 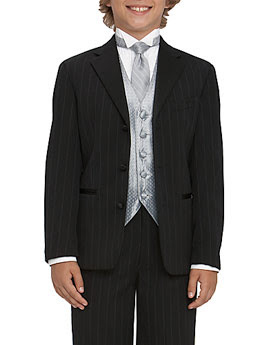 Tuxes start at $59.99 and there's a referral program with major discounts that could even equal a free tux. 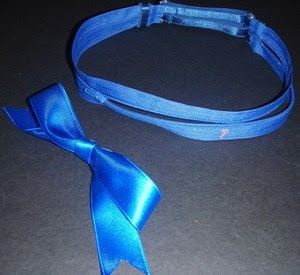 One winner will receive two MEREDITH style bow zipper headbands in the colors Magenta and Royal Blue (a $42 value) from Shop gla.MAR.ous. Question: Which other headband do you like from Shop gla.MAR.ous? Note: These headbands are patent-pending. As the economy slows, many savvy shoppers are cutting corners at their favorite department stores in favor of sales racks. In such financially lean times, it is no wonder everyone loves to brag about that “great deal” they got the other day while shopping. This is how it works: the sale garment isn’t as nice as their other merchandise but its cost while lower, isn’t that much lower. Just a few steps a way is a rack with obviously better quality clothing and while the price is higher, it’s not that much higher. The buyer rationalizes for just $30 to $40 more, I can get this out fit and it looks so much more expensive. That’s true, but you have just blown your clothing budget. Are they still a bargain? Sometimes yes, but most often they are not. Check the quality of the fabric? Is the weave tight or loose? Look at the zipper; are there any puckers in the seams holding it in place? Does the bottom of the zipper area buckle? Also make sure to check any stress seams (areas where the clothing will have additional wear). 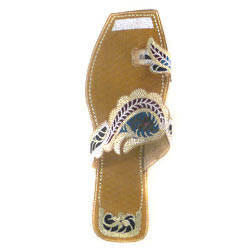 They are usually sleeves and front and back seams on pants, shorts or capris. Where Can I Find a “True Bargain”? According to Janet, true bargains can be found as the seasons change and unsold items are reduced in cost. Evaluate the items you may choose to purchase carefully. Is it a basic staple of your wardrobe? Do you the necessary accessories to make this new blend of colors work? Is this color or style going to be “out” in a year? Janet says, “unless your lifestyle revolves around dressing in evening clothing and going out frequently, only purchase dressy clothes when necessary. It’s important to think about cost per wearing. If you blow your budget on a “must have outfit” that you only wear once – it was very expensive indeed.” A far better choice would be to invest that money in an article of clothing that you will wear twenty times a season. Evening separates have made it possible to significantly reduce the cost of this look by adding a new top and wearing with evening pants or long skirt. To battle the long-known dilemma of “it doesn’t fit quite right, but it’s on sale!” Janet invented the Fashion Fit Formula, which is a mathematical system based on 12 vertical measurements of a woman’s body. Once your personal measurements have been entered into the Fashion Fit Formula, you get a specific plan detailing how to tailor your existing wardrobe to be the most flattering on your unique body. Janet says that the Fashion Fit Formula helps women avoid “closet guilt” and can turn those sale items you never wear into your next great outfit. One winner will receive a shower curtain of their choice from Izola Shower Curtains (a $26 - $29.50 value): World Destination, Maps, Eco Friendly or Patterns. Post about which one you would like to win on the comment widget along with name and email address on the comment widget above instead of replying to the post (less hassle that way). All of your information will be hidden. You can enter this contest once a day. Izola Shower Curtains offers fresh and sophisticated designer shower curtains that incorporate the work of groundbreaking artists, featuring bold patterns, map images and photography. Their themes include unique world destinations shower curtains, subway map shower curtains and eco-friendly shower curtains. Izola Shower has been featured in well-respected publications such as: Washington Post, The New York Times, USA Today, Chicago Tribune, Q Magazine, Casa Sugar, Daily Candy, Domino, Nylon, New York Magazine, Miami Herald, New York Metro, etc. Review: I've been coveting this line since they were featured on a favorite online store of mine, Urban Outfitters. 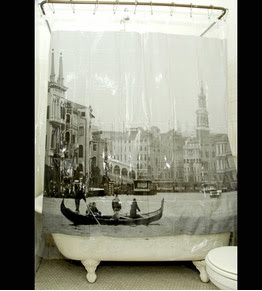 I had the opportunity to review my favorite design (and location), Venice Shower Curtain ($26.50). I anticipated on it's arrival in the mail. When it finally did arrive, I was able to bid farewell to the Hello Kitty design and modernize my bathroom with this sophisticated design. Not only I was in awe of the breathtaking design, but I was impressed with how surprisingly sturdy that this shower curtain is. It is refreshing to see that are more options for shower curtains. You will not find too many shower curtains that are this beautiful and made with such fine quality at a reasonable price. Don't be fooled by the name, but Izola Shower Curtains also have other things in their store: placemats, candles, tea towels, bed sets, aprons, etc. You can find Izola Shower Curtains at several locations possibly near you. The giveaway will conclude March 31st. One winner will receive a Cobra 1966 - Born 2 Race Bracelet (a $155 value) from Jackie Heinsohn. Answer the following question: What other design from Jackie Heinsohn do you like? 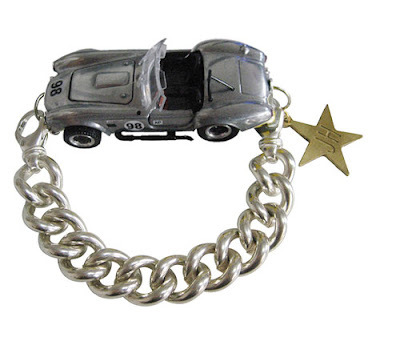 Beautiful solid sterling silver bracelet combined with racy vintage cars - all ready to speed off - Born-2-Race! The cars are easily detachable for the full experience of play. What made you start Della Designed? I had been successfully selling bags by another designer and decided that I could and would design my own bags out of good quality leather and make them affordable. I've always loved handbags and knew that I could combine fashion and function for some really fabulous bags. I had some ideas and had been listening to my customers about what they were looking for in a handbag. Did you decide on your own, or did someone convince you that you could do it? The decision was mine but I'm fortunate to have a lot of encouragement from my husband, family, and friends. to be able to afford fabulous, leather, designer bags. I had that price point in my mind because I knew that most women would love a beautiful, leather, designer handbag that was affordable. This is in Canadian dollars, so because the U.S. dollar is worth about 20% more, the cost of one of my bags is under $160 U.S. I'm hoping to keep them at a reasonable cost, so that they are accessible to all women. I call them an affordable splurge. Do you remember your very first sale? The day my handbags came in, I had two friends come over. They were so excited! One friend bought one and the other bought two. I knew they weren't just being polite! Which handbag are you most excited about right now? I am really excited about my spring collection that should be coming in a few weeks. Along with a brand new tote and handbag, I have the Holly and Susan coming in new colours for spring. I will also have a laptop bag (airport security friendly) and wallets soon! The first bag from my collection I carried was the Leah. They're like my children, I love them all! I love eating out and going to movies. I also play soccer, tennis, and golf. I spend a lot of time online checking out other designers and looking for inspiration. One winner will receive a Crimson Red Heather Tote (a $199 value) from Della Designed. Answer the following question: What other design from Della Designed do you like? 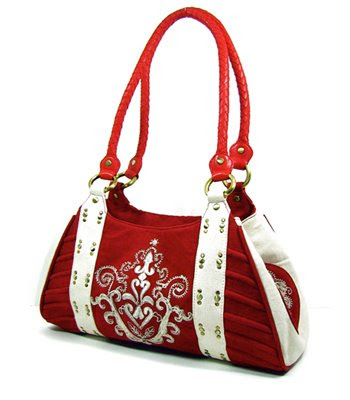 The crimson red Heather is a vibrant red, all leather, tote for ladies who want to be noticed. The lining is 100% cotton. Inside, you will find a cell phone and PDA pocket and a zippered compartment. A fashionable lock will keep your belongings safe or just making a statement. The giveaway will conclude March 23rd. One winner will receive a Rule Breaker necklace in Matte Silver ~or~ Brass (a $40 value) from Twisted Silver. Answer the following question: What Twisted Rule Breaker would you find yourself wearing? "Rule Breakers" are designs that don't quite play by the rules but are not so brash so they somehow WORK anyway! Clasp in the front ~gasp~, asymmetrical design ~shudder~, tarnished base metals mixed with plated metal ~say it isn't so~ dainty mixed with edgy! And yet, Rule Breakers just seem to go with everything you wear. They grow on you, and you find yourself stacking them with other pieces or wearing them solo. You find yourself wearing them all the time and people start commenting on your original style. Rule Breakers walk the line beautifully: feminine, yet edgy, traditional and contemporary. The Chic necklaces definitely qualify as Rule Breakers. Light, simple, original for any occasion and every-day wear. They will be $40 when they launch on March 24, or free for the lucky winner who can wear it before anyone else! The giveaway will conclude March 13th. One winner will receive the Anna Handbag in Paprika (a $119 value) from Nikita Lynn. Answer the following question: What is your favorite item at Nikita Lynn? 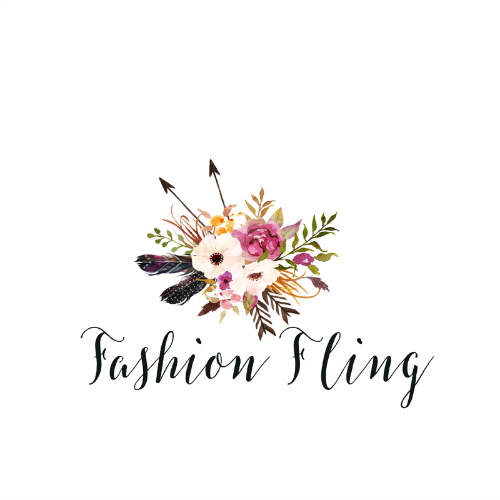 These are all words to describe Nikita Lynn Design's individualistic flair. Nikita developed an addiction for vintage handbags at the age of 21, at a thrift store in Gainesville, Florida. There, on the shelf, calling to her, was a kitschy little bag from the 1960's priced at $20.00. From the moment she laid eyes on that tiny piece of handbag history, she knew it was love at first sight. And so the dream of designing her very own line of bags began! Two years ago, while enjoying a martini with a friend, she decided to stop dreaming, and turn her passion for purses into a reality. She risked everything, quit her "Corporate American" job, went to India, and plunged head first into the world of handbag havoc. It was then, that Nikita Lynn Design was created, and concepts were turned into clutches, totes, and hobos. Flawlessly in-vogue. 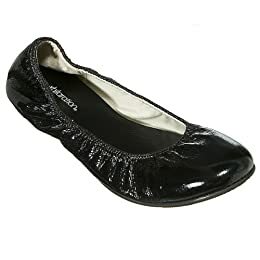 The Anna is a seamless fusion of authenticity and metropolitan chic. With their signature, hand-blocked motif print, the Anna is sure to be the center of attention. The giveaway will conclude March 14th.